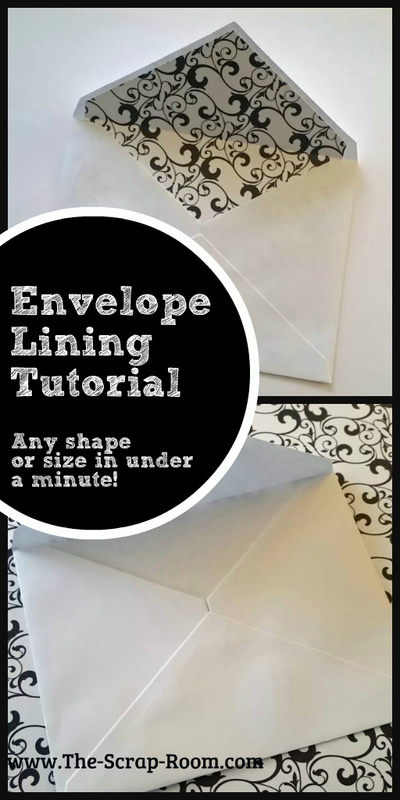 Once you see how quick and easy this tutorial makes it to line envelopes, you'll be adding decorative paper to all of your handmade greeting card's envelopes! 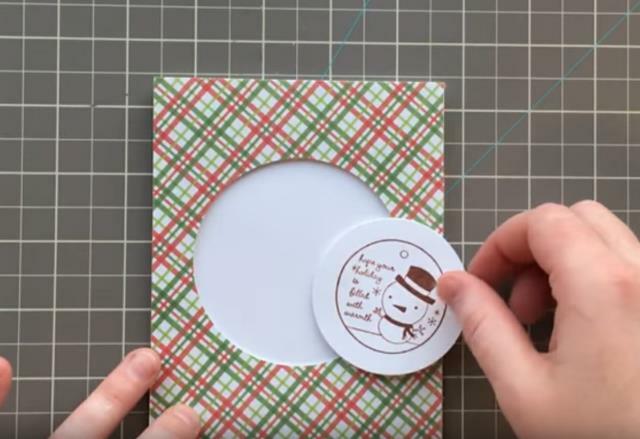 Begin with a piece of printed paper that matches your handmade card. 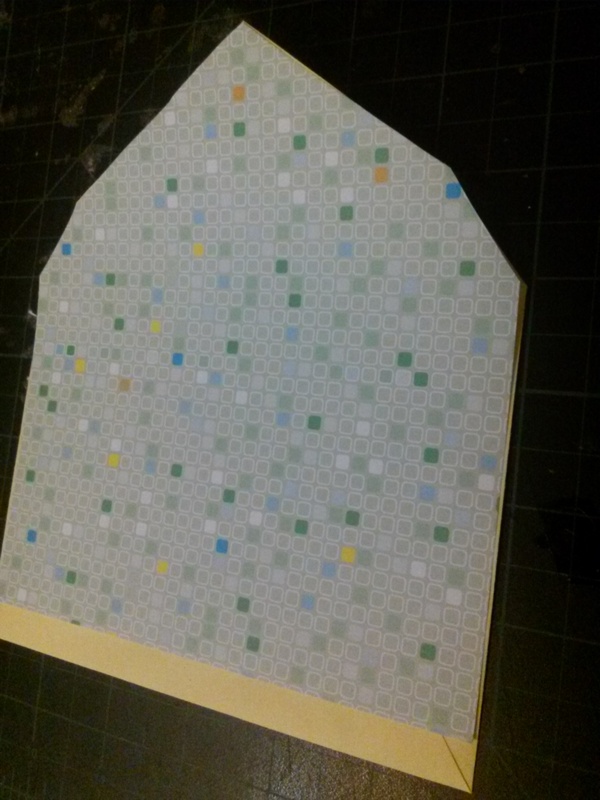 You want to make sure that you're using paper, and not cardstock for this so it folds easily and doesn't add a lot of weight. 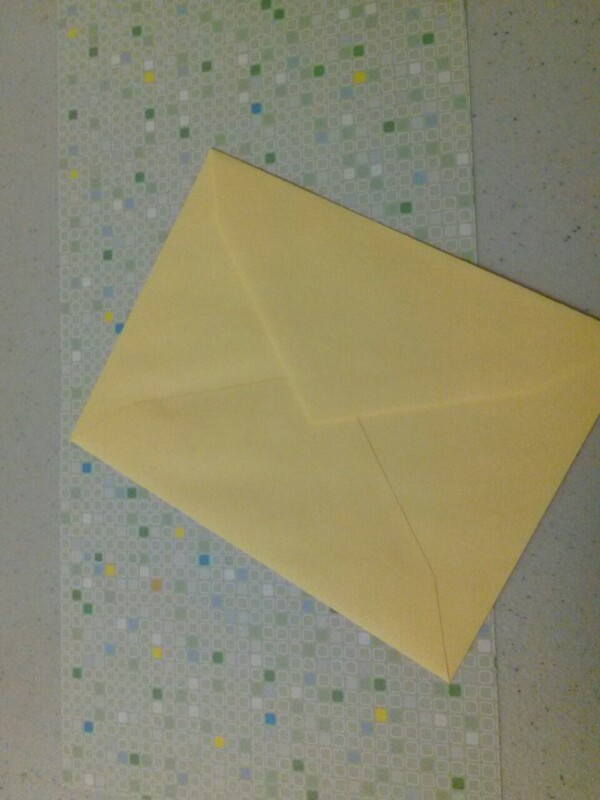 Lay the envelope on top of the printed paper, and slide it down so it sits about 1/2" lower than the bottom edge of the paper. 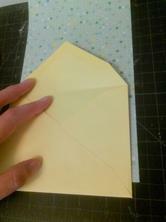 Use a ruler and a pen or pencil to trace around the edges of the envelope. 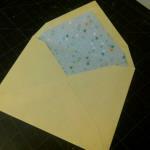 Cut about 1/8" in from the drawn line so your lining is slightly smaller than your envelope. 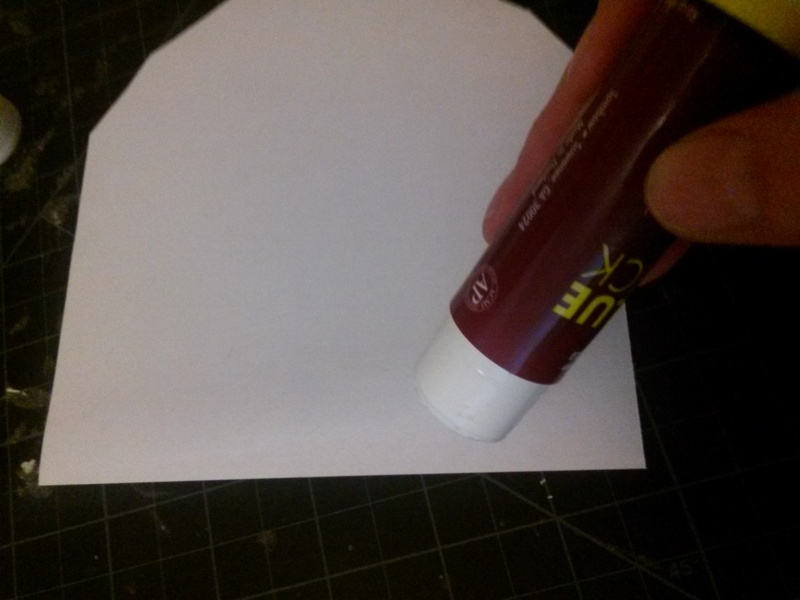 Use your tape runner or a glue stick to run a line of adhesive at the bottom and top of the printed paper. 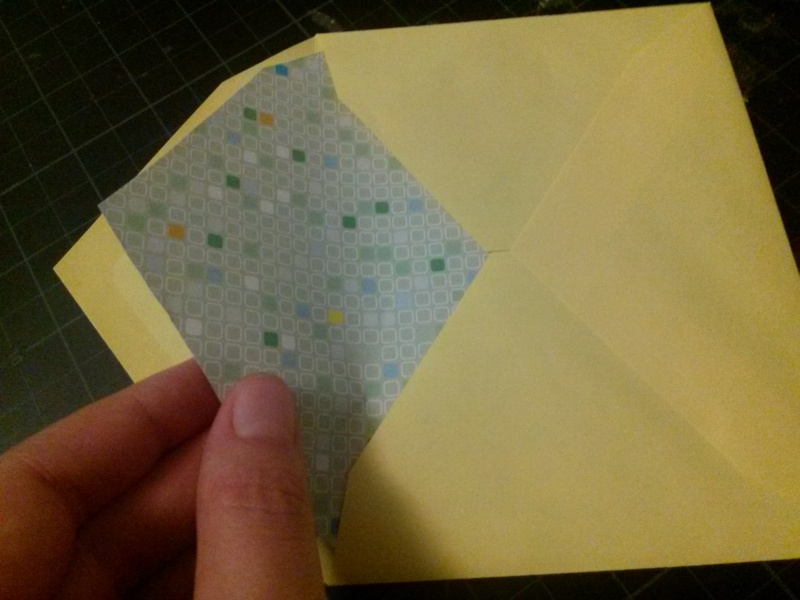 Slide it into the envelope, position it so the lining sits right below the envelope's glue line, and secure into place with the adhesive. 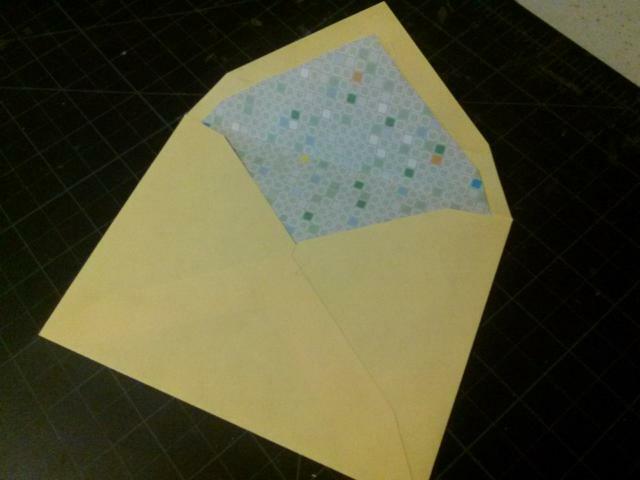 A bone tool can help you get the perfect crease when you fold the flap closed and smooth along the envelope's existing fold line! Thank you for your patience while we're updating our website! 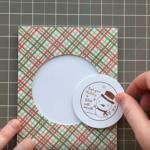 If you enjoyed our tutorial or found value in it, we'd love it if you'd give us a thumbs up or a share on Facebook or Pinterest! 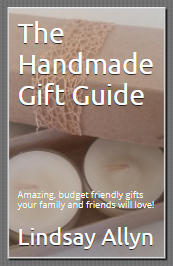 Check out our new book on Amazon.com!